We now come to the most challenging aspect of Peter's character traits that we are to add to our faith. In the last article, we dealt with the concept of brotherly love, which is the translation for the Greek word "philadelphia." The verb form is "phileo" and the noun is philia. Now we have the word "agape." There is a difference between the two that is worth noting. Essentially, it can be said that phileo is based on feelings and agape is based on will. If that be true, then the following graph will give you insight into the distinctions and qualities of the two. Therefore, we can conclude that Peter is telling us to exercise phileo. It comes naturally, and is something you can practice. Allow yourself to awaken to the feelings of love that come about naturally within your spiritual family. After you have done that, it is time to begin to put a higher form of love into practice—the love that is not based on any feelings or any necessarily perceived worth in the recipient of that love. It is love based on your decision to love. Notice John 3:16: "For God so loved (agape) the world, that He gave..." And then Rom. 5:8: "God commends His love toward us in that while we were yet sinners, Christ died for us." 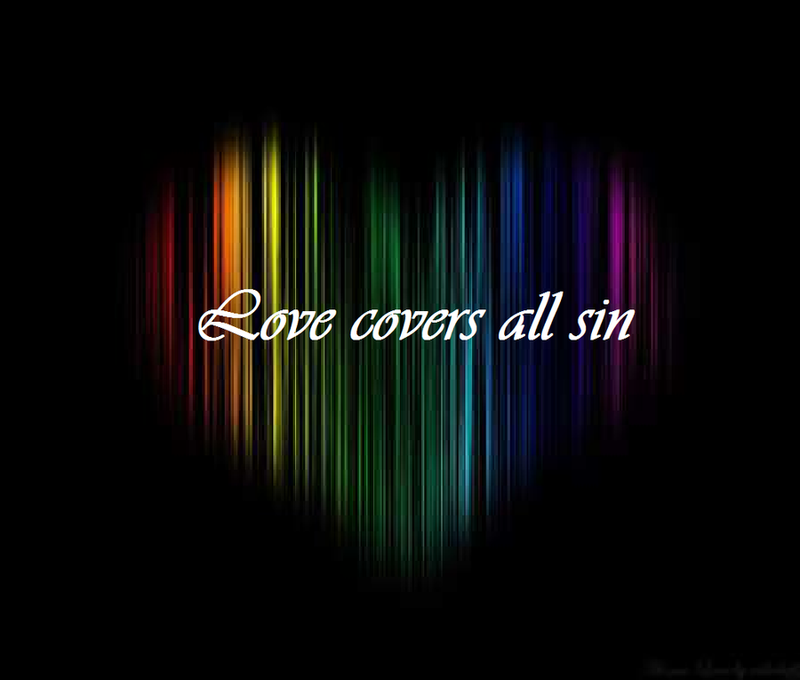 Let us now consider, then, 1 Peter 4:8—..."for love covers a multitude of sin." Christians are continually bombarded these days with quotes from the Bible hurled at us by people who say they do not believe the Bible and despise the Christian religion. Many believers back down in the face of the onslaught, as they probably should (Pro. 26:4). The passages from which these thoughts are taken have nothing to do with the concept usually presented; but it is not within the scope of this article to delve into the twisting that is so prevalent. It is simply Satan's way to get you to doubt and be swayed into the lie. The word "cover" means to hide, veil, or hinder the knowledge of a thing. So, yes, a practical outworking of the verse might well be to not point out the sins of another. I do not believe that there is any one of us who would not do well to put that into practice. However, I want to submit to you a possible rendering in a different light. Having fervent LOVE toward one another will help to keep us from sin; ie, your love will help the other to avoid sin, thus hindering it. Each of the sins listed would probably not be committed if the perpetrator was feeling loved at the time. Love would 'cover' that sin. However, there are simply too many verses that deal with the concept of dealing with someone caught up in sin for us to ignore the fact that we are, indeed, required to point out the sin. It is just that believers have taken to pointing out the sin of the sinner (well, duh) and ignoring any sin "within the camp." But, at some level, we are to "cover" the sin of others. We are to not make that thing known. We are to love them. I submit to you that loving them, without pointing out their fault, is much more difficult than to do otherwise. So, the next time you see your brother or sister commit a sin, try throwing a 'love cover' on them. Until then, keep them 'covered' with so much love that they feel all warm and cuddly and have no desire to leave the comfort of such love.